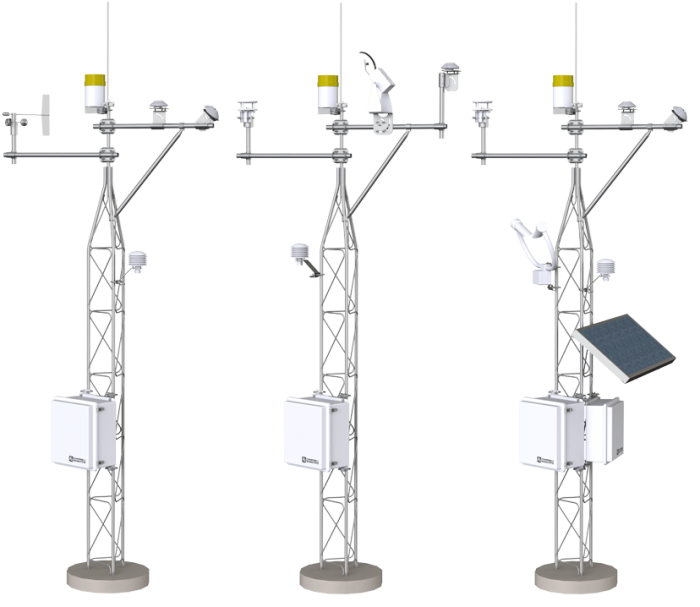 The SOLAR1000 is an automated data acquisition system specifically designed for solar monitoring applications. The standard package is designed to meet CaISO standards. Systems are easily customized with accessories for every aspect of the station, from communications to mounting options. Typical applications include pre-construction phase solar resource assessment, baseline data collection, and performance monitoring. The SOLAR1000 simplifies the process of collecting system data by acting as the single point data gateway for environmental, inverter, and meter data. Can Campbell Scientific data loggers communicate easily with the solar trackers? Depending on the tracker being used, a Campbell Scientific data logger can request data, relay diagnostic information, and potentially control the tracker.